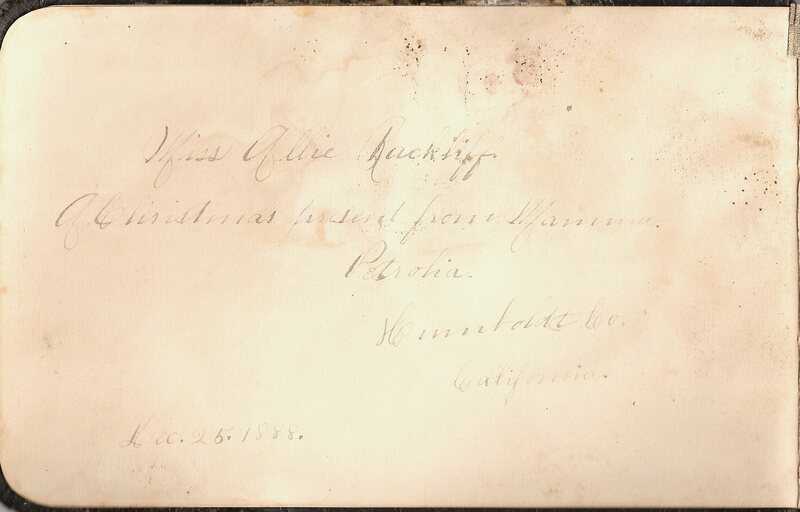 With great gratitude to the late Mary Rackliff Etter and her family, who entrusted her historical collection to the MVHS, I am pleased to share a humble little autograph book i found buried away, moldy and falling apart, in the depths of some heavy and confused box full of all manner of paperwork. 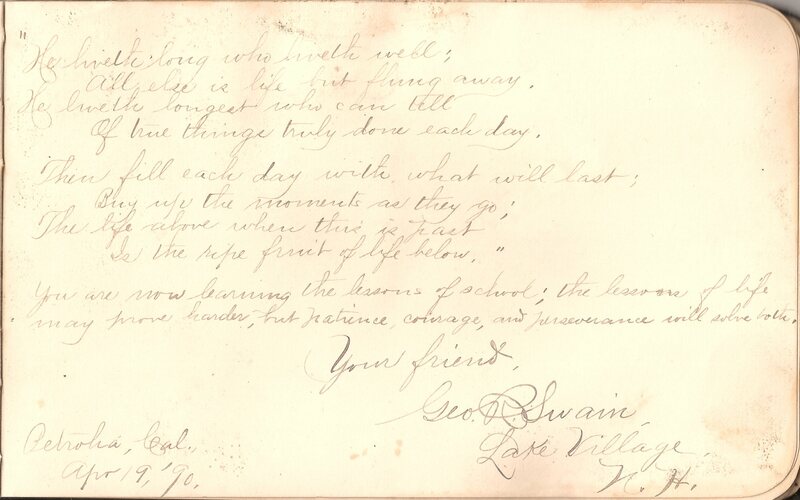 As i perused this tiny volume, one of the questions persistent in my mind was how it could be that in one and a quarter centuries, childhood friendships could go from being remembered like this… to the kinds of rhymes and raps you might see in a youngster’s autographed yearbook nowadays. I am just grateful to be able to feel the warmth of those people (often lifelong friends, if not family, of Allie’s) all these years later; and i hope some of that feeling is transmitted to you when you see and read these pages. 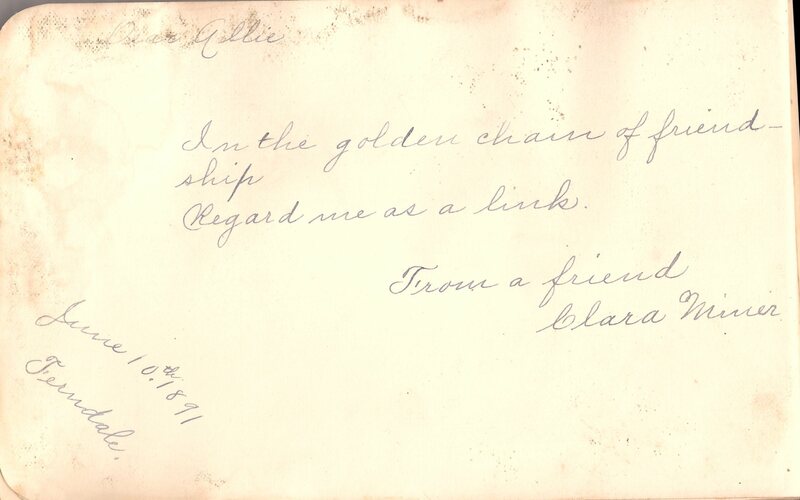 The book was from Mary Clark Rackliff to her daughter, Alice (Allie) Rackliff, who grew up to marry Mr. Kistner and move to Ferndale. 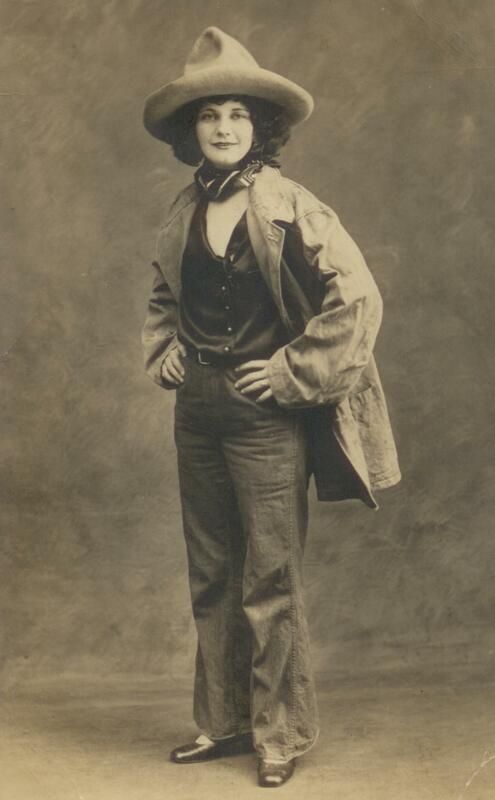 Allie, who was Mary Rackliff Etter’s aunt, was born in 1880. “To Allie. 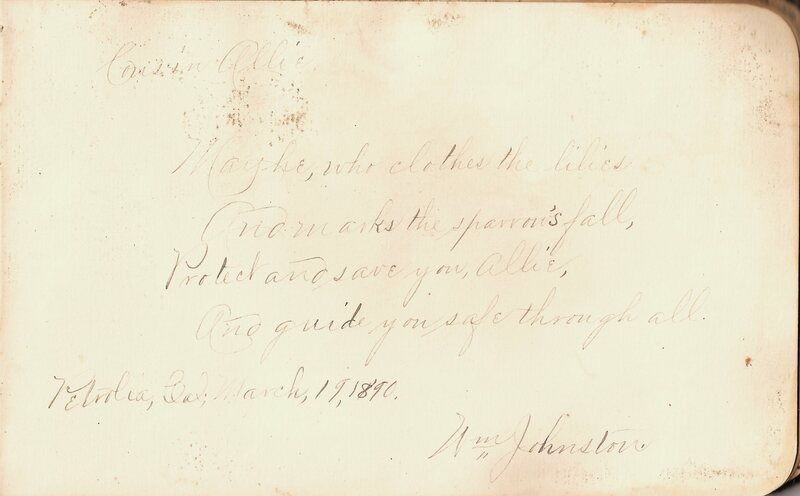 May he who clothes the lilies And marks the sparrow’s fall, Protect and save you, Allie, And guide you safe through all. 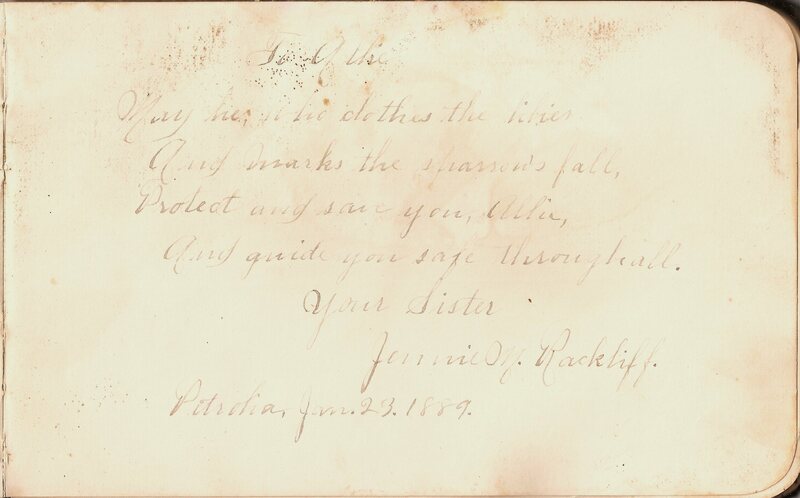 Your Sister, Jennie M. Rackliff. 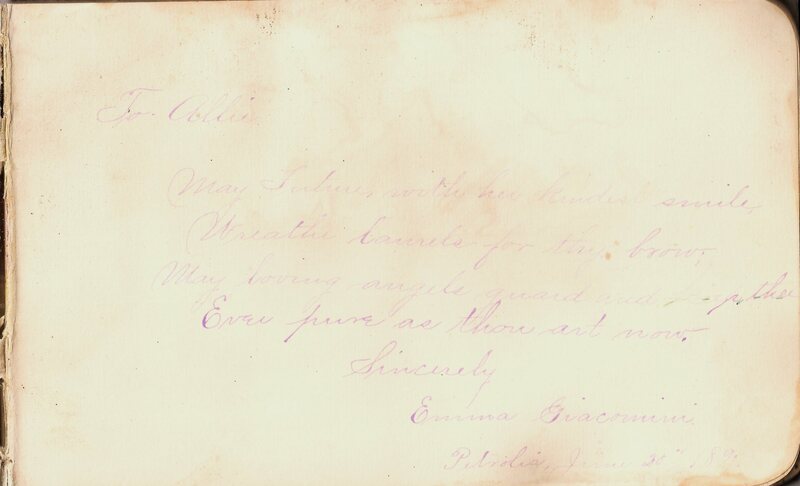 Petrolia, Jan. 23, 1889.” Jennie was Allie’s elder sister, ten years old when she wrote this. 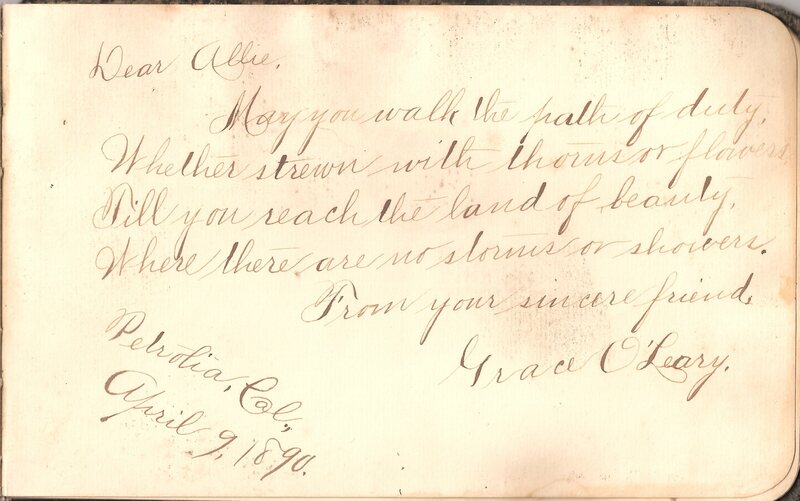 “Dear Allie: Perhaps at some time we must part, and oh! 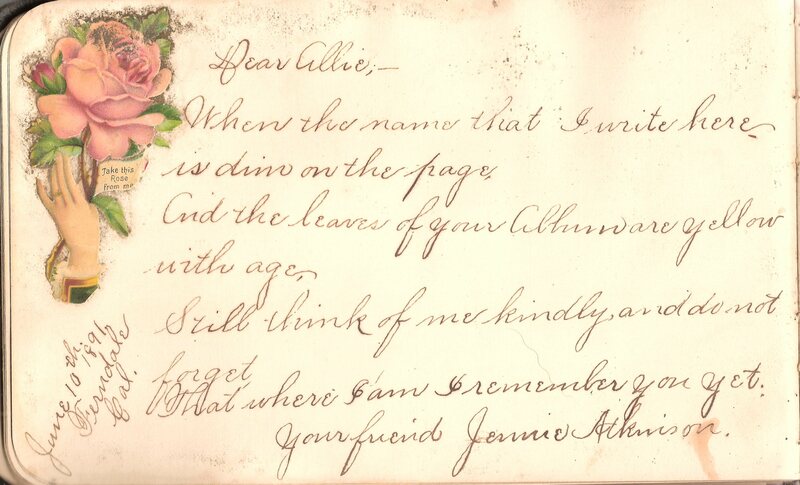 ’tis with an earnest heart That I ask thee, while in glee Or in sorrow, to ‘Remember me.’ From your cousin, Addie Johnston. 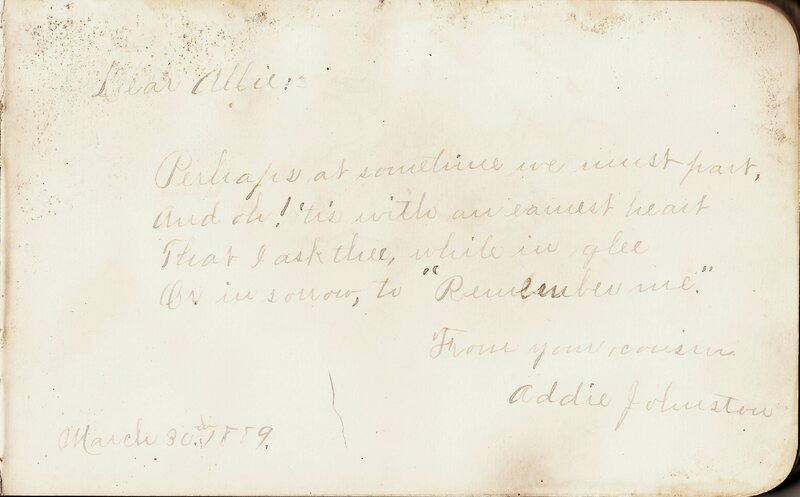 March 30th, 1889.” Addie was the daughter of Sarah Clark, sister of Mary Clark Rackliff and wife of Charles A. Johnston. Sarah died young, and Addie and brother William were adopted by their aunt Cavy Johnston Miner. 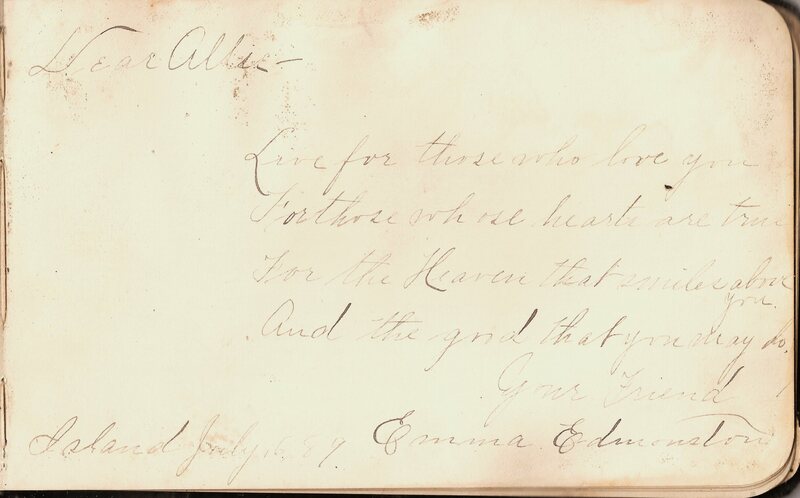 “To Allie– May your life be blest; With the joys thou lovest best; Is the wish of your teacher; G.A. Cummings. 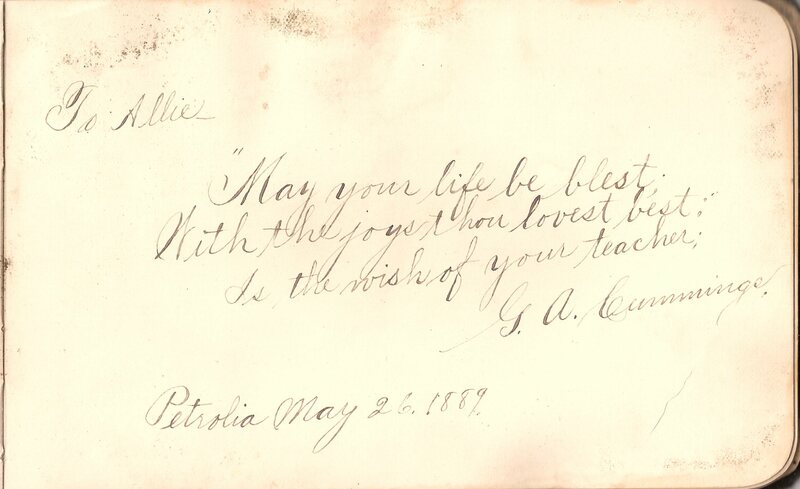 Petrolia, May 26, 1889.” George was Miss Katie Cummings’ father and was one of two teachers at the Petrolia School, located on the spot where the Yellow Rose sits today. Here’s another angle: a picture of Allie’s schoolmates, with her sitting right near the middle, to our left of the one girl wearing white in the middle of the photograph. With her hair pulled back, she looks a bit like a little boy. Her sister and several others who sign her book are also in this picture, which many of you have seen in the Petrolia Pioneer Cemetery Guide. 1890 student body with teacher George Swain, Petrolia (Mattole Union) School. Front row, l-r (9 boys): Tommy McDonough, Alvin Johnston, Ben Walch, Jesse King, Charlie Boots, Jim Hunter, Fred Crippen, Frank Wright, Malcolm Cady. 2nd row (10 girls & 2 boys): Alta Dudley, Sarah Johnston, Nora Mackey, Mertie Cady, Della Walch, Allie Rackliff, Lena O’Leary, Daisy O’Leary, Jennie Rackliff, Addie Giacomini, Jim Newland, Arthur Lindley. 3rd row (6 girls & 3 boys): (starts with the girl with round white collar and distinct center hair part) Mary Burris, Nettie Boots, Carrie Giacomini, Joanna Walch, Addie Johnston, Louise Walch, Ellis Hunter, Morgan Wright, Gilbert Crippen. Back row (after Mr. George Swain, 3 girls & 8 boys): Christa Dudley, Mary Smith, Grace O’Leary, Arthur O’Leary, Albert Boots, William Johnston, Smith Dudley, John O’Leary, John Giacomini, Tom Newland, Joe Mackey. So, next up in the autograph book, we find teacher Mr. Swain. “May your joys be as deep as the ocean. And your sorrows as light as the foam. From your Brother, Clark Rackliff. 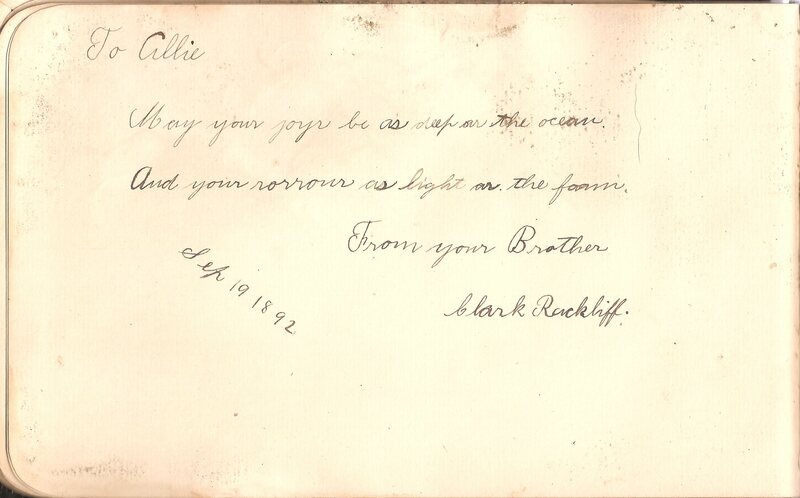 Sep. 19 1892.” Charles Clark Rackliff, father of Mary Rackliff Etter, was born in 1882. “Cousin Allie, May he, who clothes the lilies And marks the sparrow’s fall, Protect and save you, Allie, and guide you safe through all. Wm. Johnston. 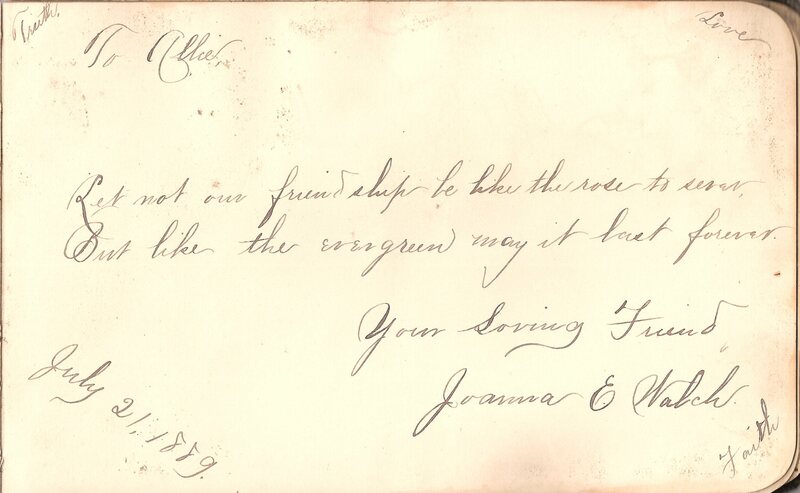 Petrolia, Cal., March, 19, 1890.” Yes, he wrote just what his cousin Jennie wrote to her sister! 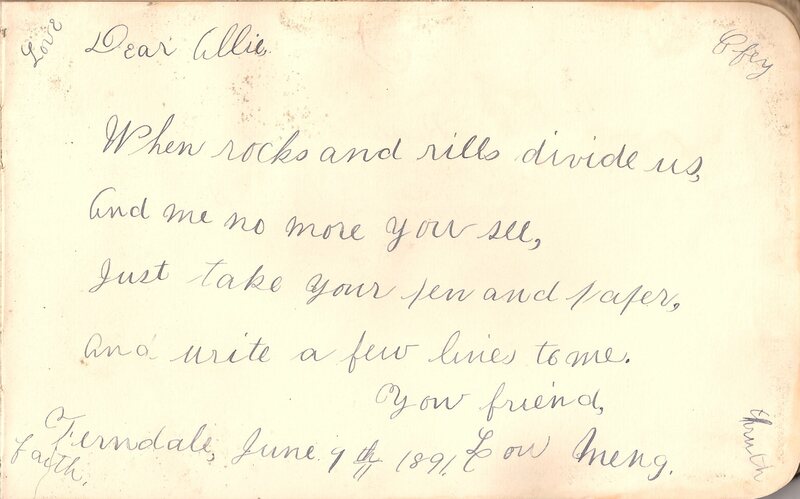 “Dear Allie, When rocks and rills divide us, And me no more you see, Just take your pen and paper, and write a few lines to me. Your friend, Lou Meng. 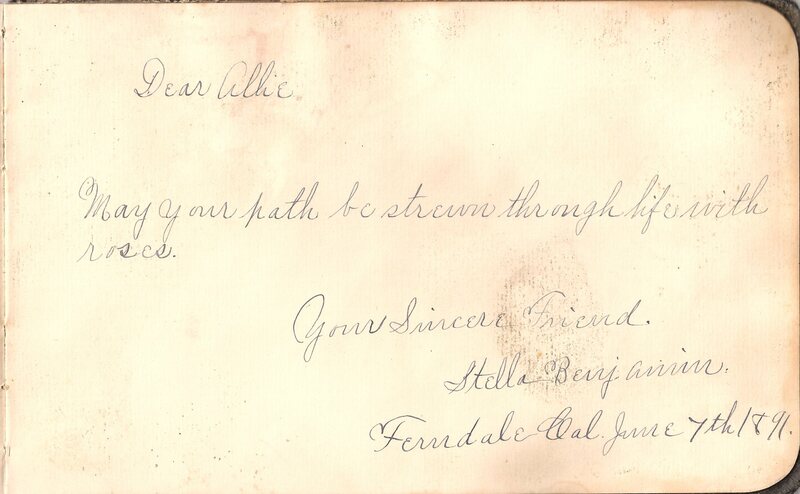 Ferndale, June 9th, 1891.” The words “truth,” “faith,” “Love,” and maybe “Pray” fill the four corners of the page. “The virtues of modesty candor and truth In woman exceeds all the beauty of youth. Your friend Joseph Collins. 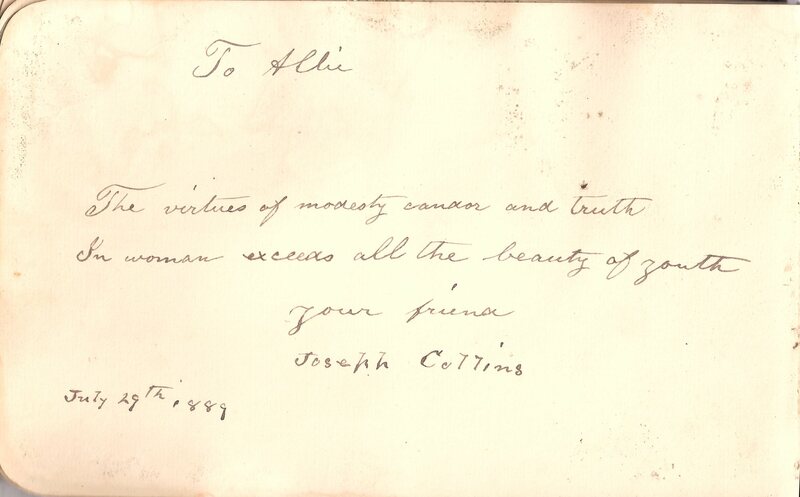 July 29th, 1889” Mr. Collins was a bachelor, born in England, 47 years old at the time of this writing. 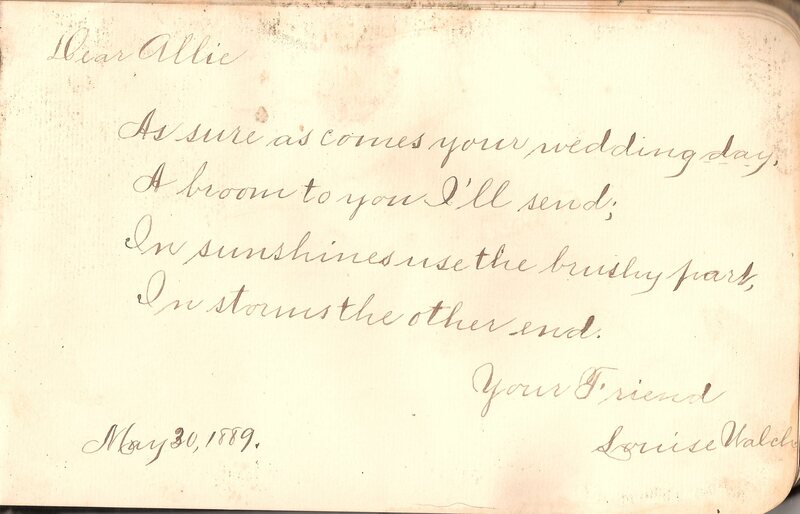 “Dear Allie, May your cares all fly away, Like dew before the sun, And when you’ve nothing else to [do], Just think of me for fun. Your friend and Schoolmate Nettie Boots. 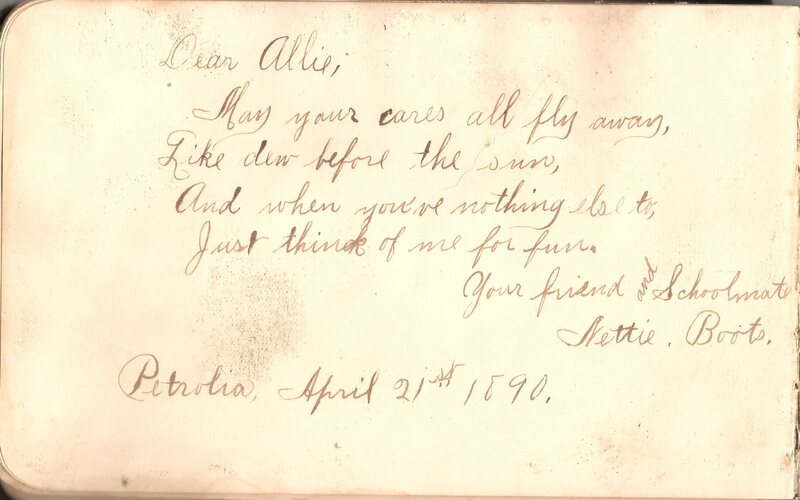 Petrolia, April 21st 1890.” Nettie was the daughter of Flora Hadley and Martin Boots, and first cousin of Jim Boots. 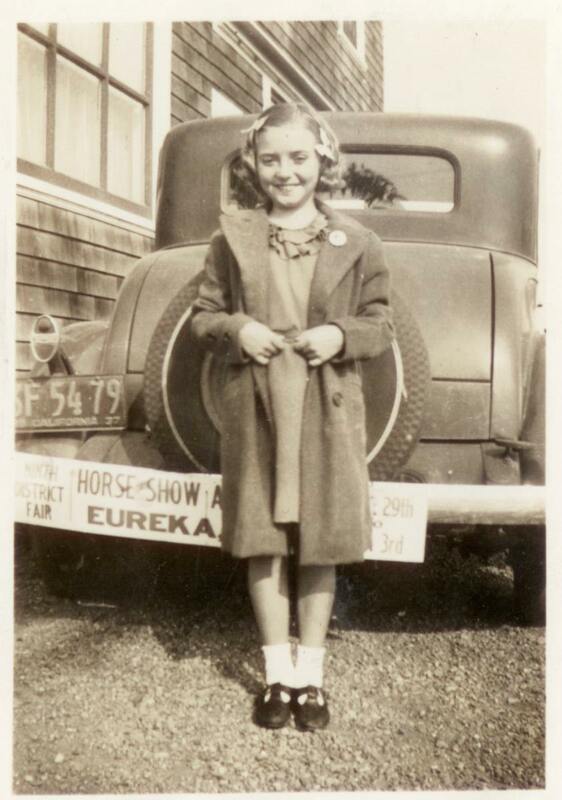 She grew up to marry Peter Hansen; their daughter was Hattie Hansen Titus, the lady who befriended the Coast Guardsmen in the 1940s. Except for this brief reminder of who’s who! 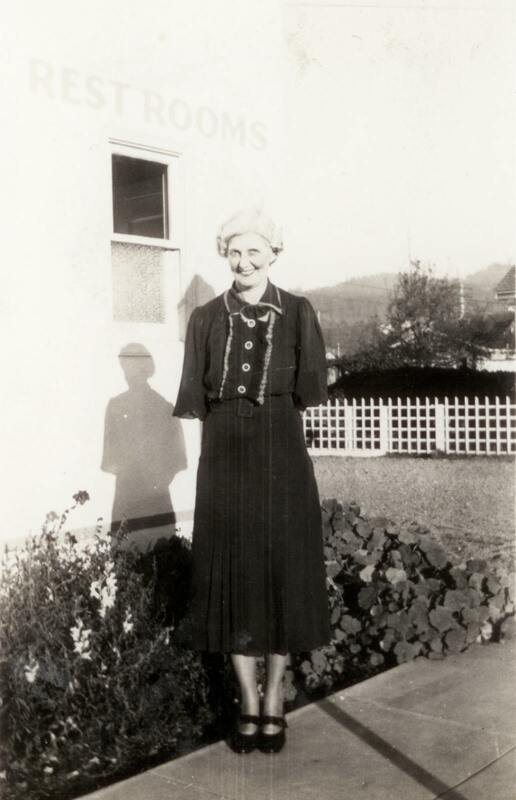 Jim was the son of Mary Ellen “Ella” Vandecarr and Aaron Boots–Aaron was one of five Boots siblings who stayed around Southern Humboldt for most of their lives. They, and two or more others who lived in Washington, were the offspring of Upper Mattole pioneers “Granny” (Sarah) and Elijah Boots. 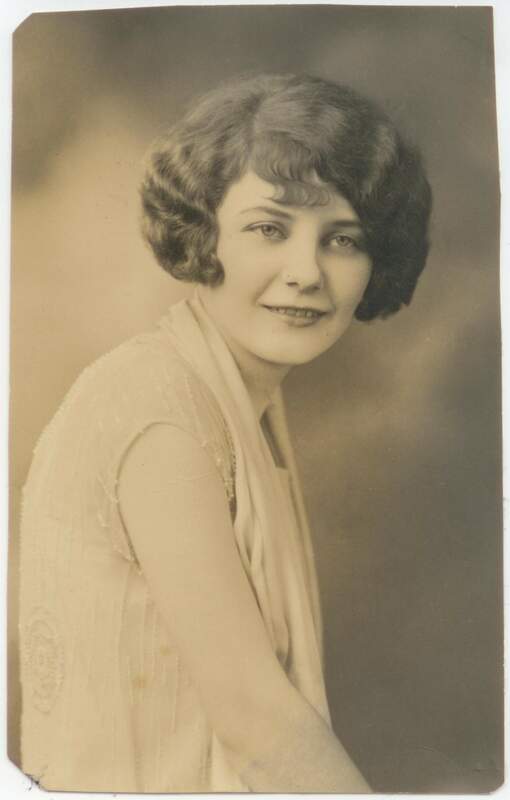 Jim’s wife, Adeline “Birdie” Harrow Boots, was the child of Katherine “Kate” Titus (daughter of GMG Titus, and sister of LaFayette Titus) and Joel Fletcher “Fletch” Harrow (son of Asa Harrow). 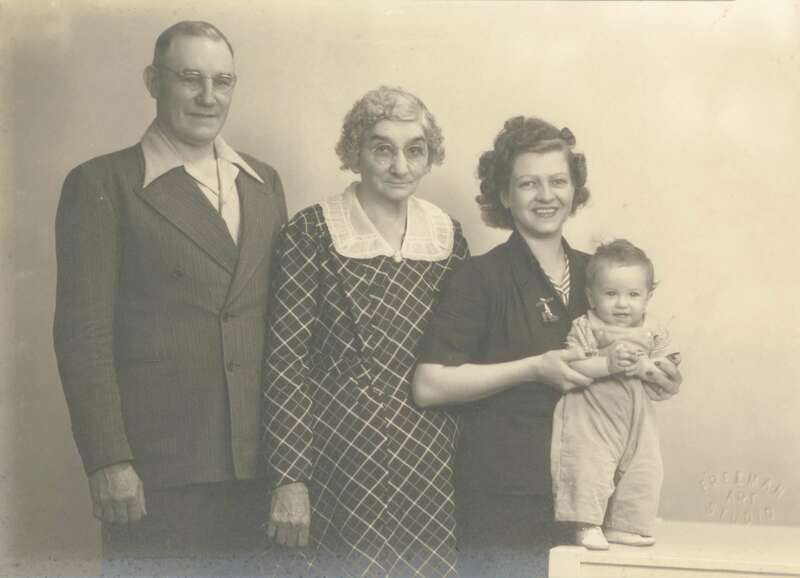 Jim Boots (1883-1963) and Birdie (1889-1980) were the parents of four girls: Mabel, or “Babe,” Phillip’s gt-grandmother; Viola, called “Vie,” who married Mike Stefanini; Clara, who married John William Lundberg and had a son, Jimmy–this family was the connection to the Arcata property where Phillip and his wife now live; and Arlene, also known as “Birdie” or “Bootsie,” the baby, who married a Mr. Harvey and had a son Ted and daughter Judy. 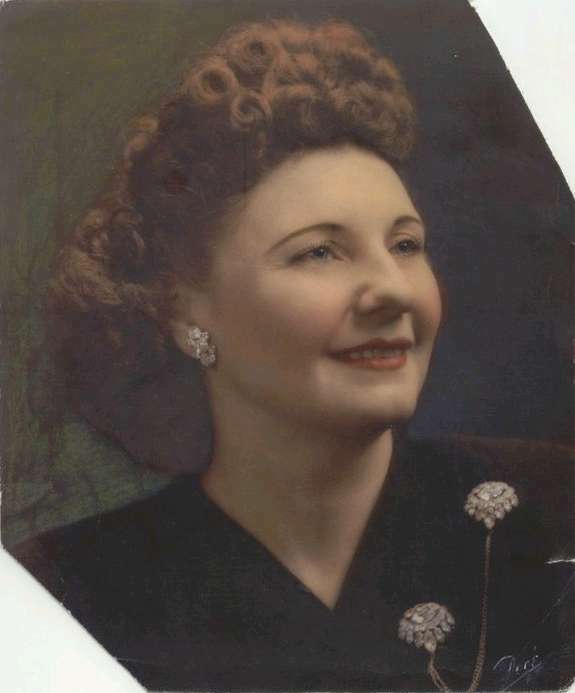 Babe Boots married twice, to Harold Hash and to a Mr. Hengen; her daughter was Barbara Hash Smith, born in 1927, who had a daughter Cynthia–Phillip’s mother. We start these pictures when Babe, born in 1908, is a young teen girl. 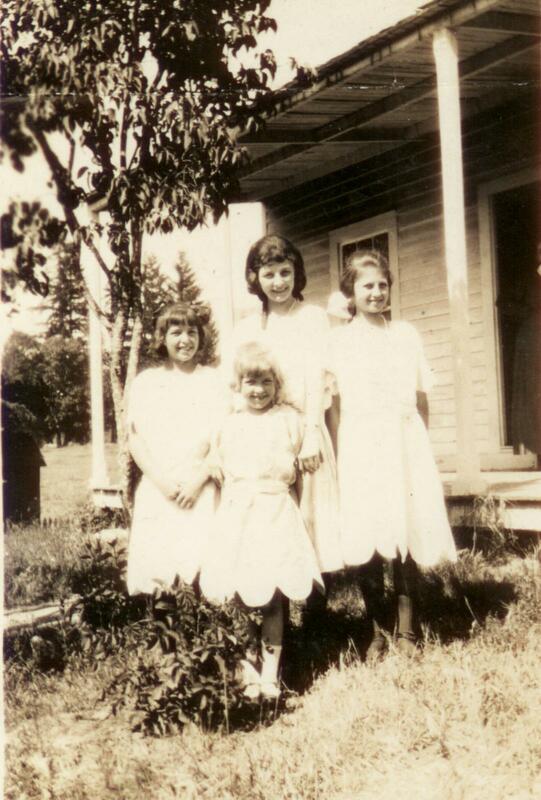 Top, left-right, Clara, Mabel “Babe,” & Vie, with Bootsie in front. 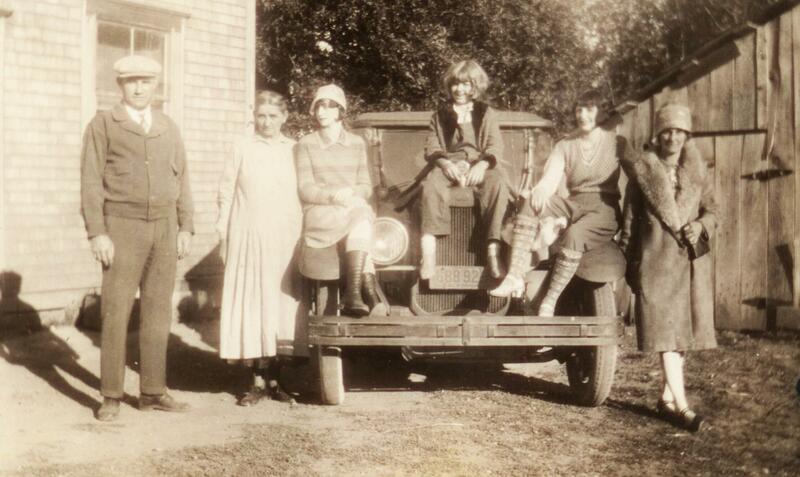 Jim Boots with his bus and daughters, near Carlotta, 1922. Jim Boots, his mother Ella, and his four girls. (Unless that’s mother Birdie on the right, and we are only seeing three of the daughters.) I am not sure where some of these photos were taken, as the family moved around to several Humboldt locations over the years. 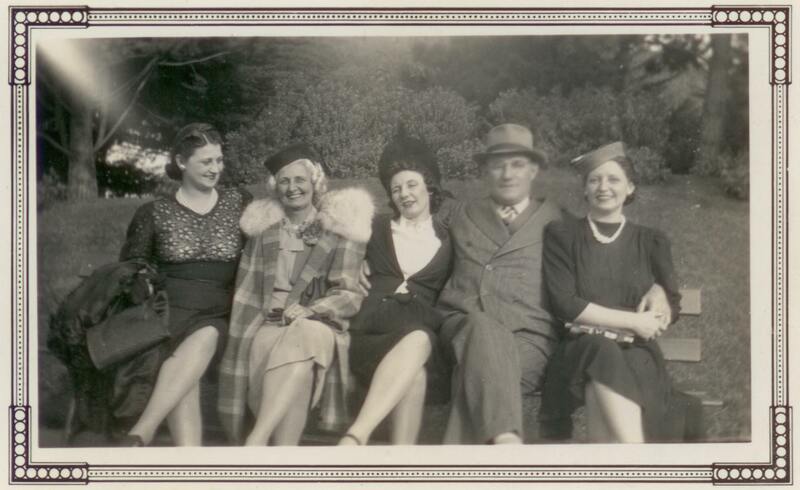 Here are Birdie (far left) and Jim with Mabel, Clara, Bootsie, and Vie; the three people in the right rear are unknown. I’m curious about the man on the far right; he shows up in several of our pictures of tanbarking crews. Here is Babe in her first true glamour shot. She resembles a certain Hollywood actress who was recently in Humboldt County, we think. 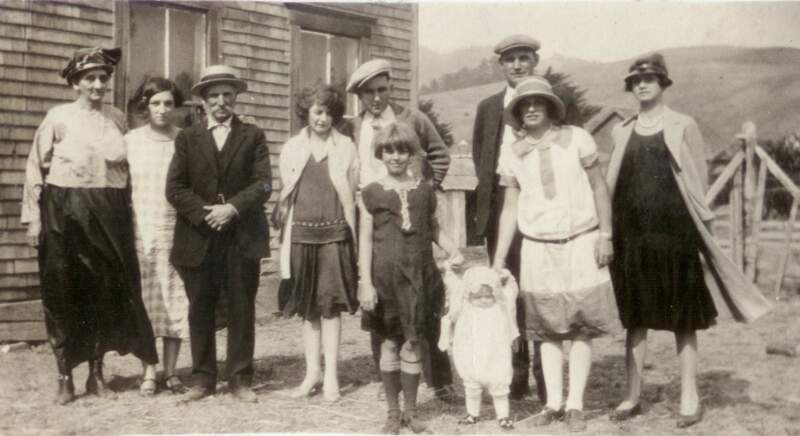 A gathering of the Boots and Harrow families in Arcata, 1928. I will let you have fun figuring out who everyone is! Harold Hash makes his appearance, standing next to Babe. Her mother Ella has got her hat on and is looking fancy, next to her late-life daughter Bertha Boots, and her husband Aaron. 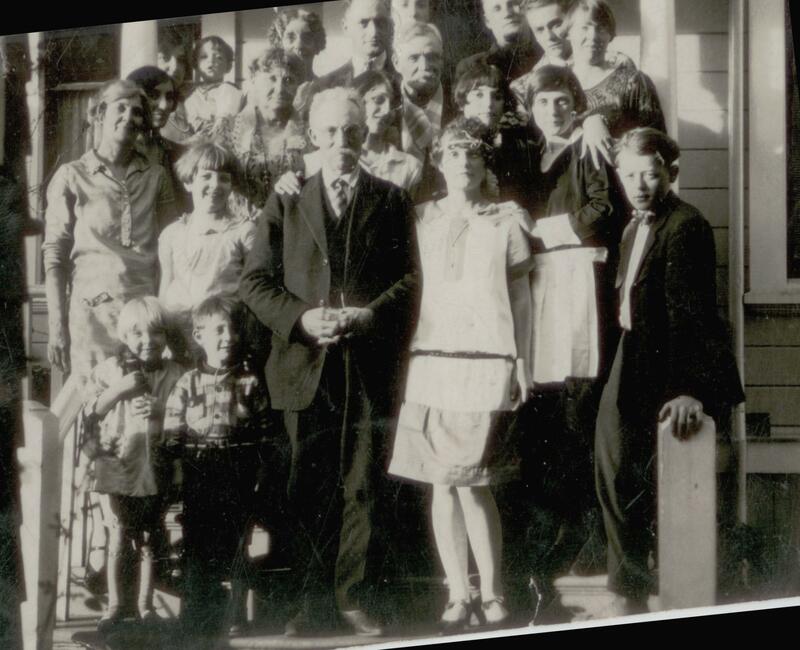 Is the baby in front an infant Barbara Hash (born 1927), held up by her aunts? 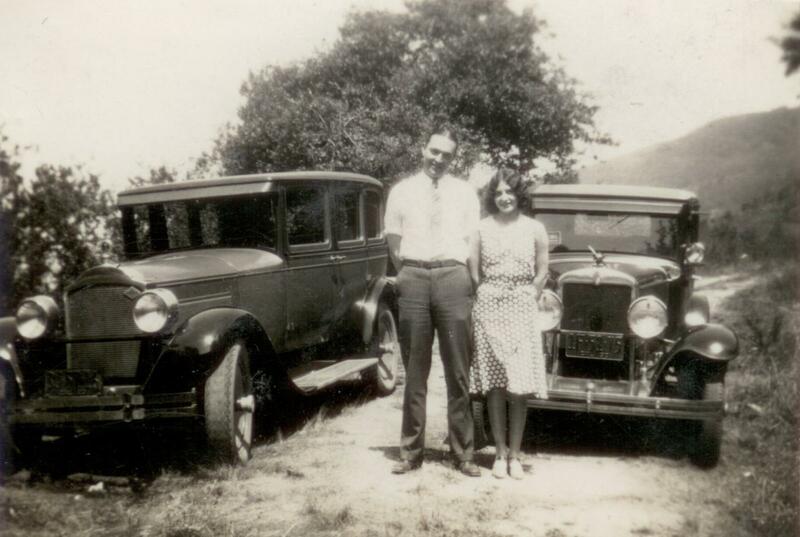 John W. “Bill” Lundberg and Clara Boots, dating in 1929. By the looks of the hills, they’re in the Mattole Valley. She and Bill married in 1934, and stayed together until he passed away in1978. 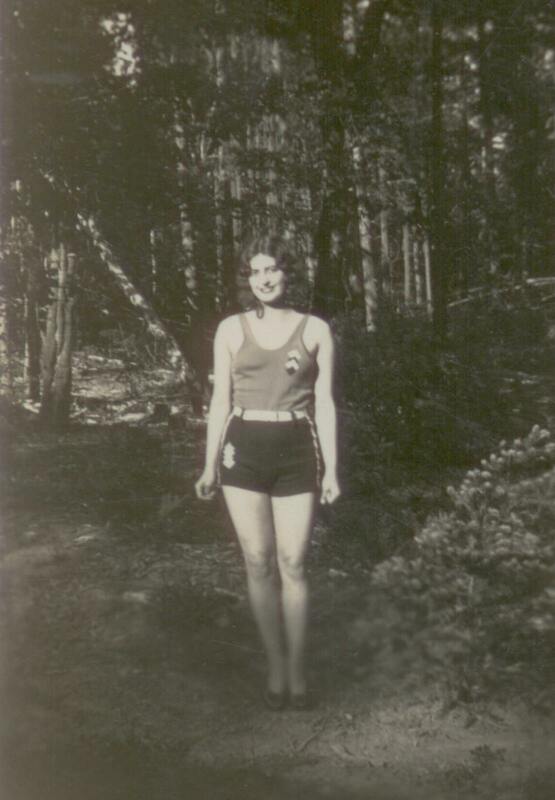 Here is Clara a few years later in a classic 1930s swimsuit. 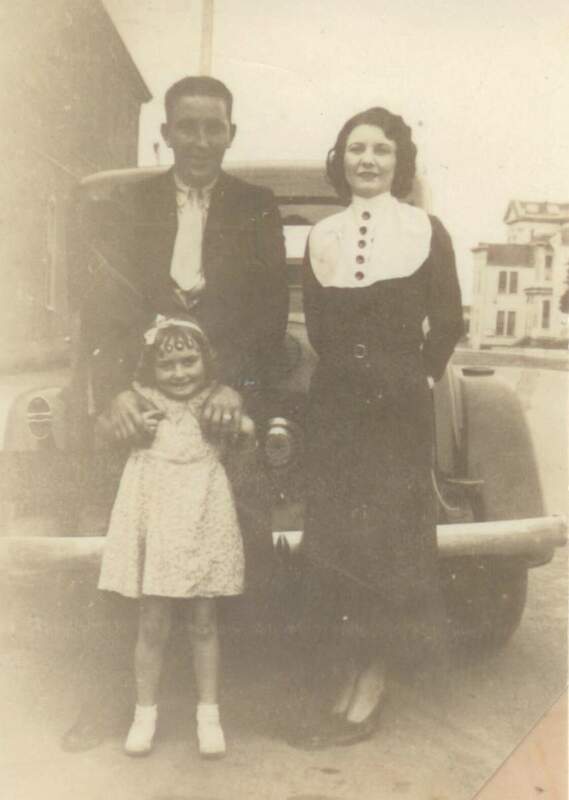 Harold Hash, wife Mabel “Babe” Boots, and daughter with fancy ringlets, Barbara Hash. 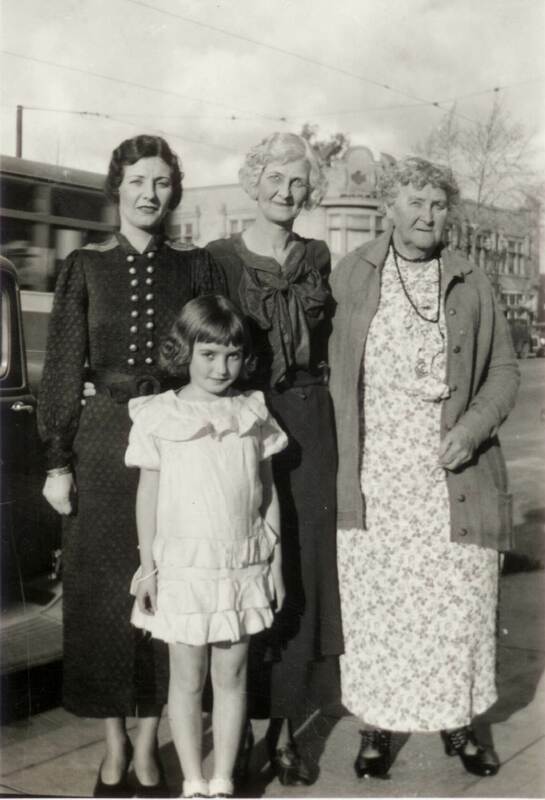 Four generations: gt-grandmother Kate Titus Harrow on right; grandmother Birdie Harrow Boots center, and mother Mabel “Babe” Boots Hash, with Barbara in San Jose. 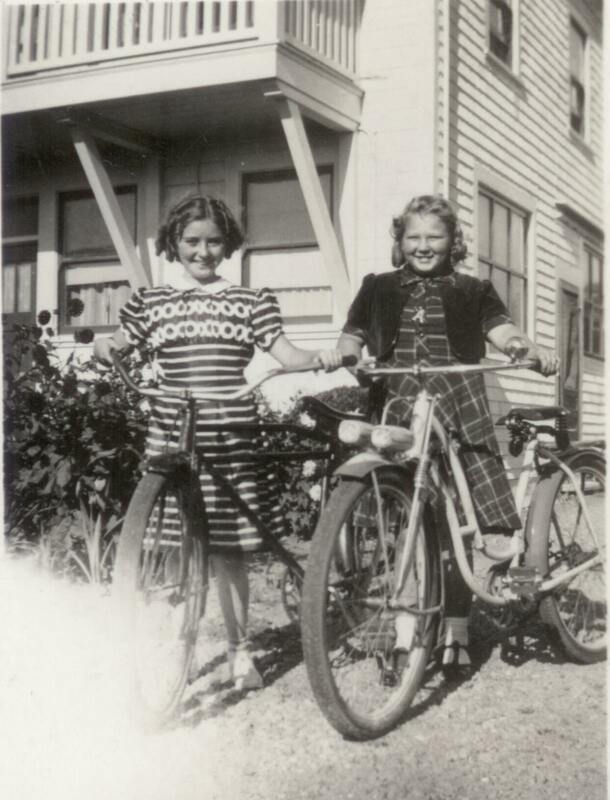 Barbara Hash and friend with bicycles, 1930s. This is Birdie Harrow Boots, at the gas station on the northeast corner of 5th and G Streets, Arcata. 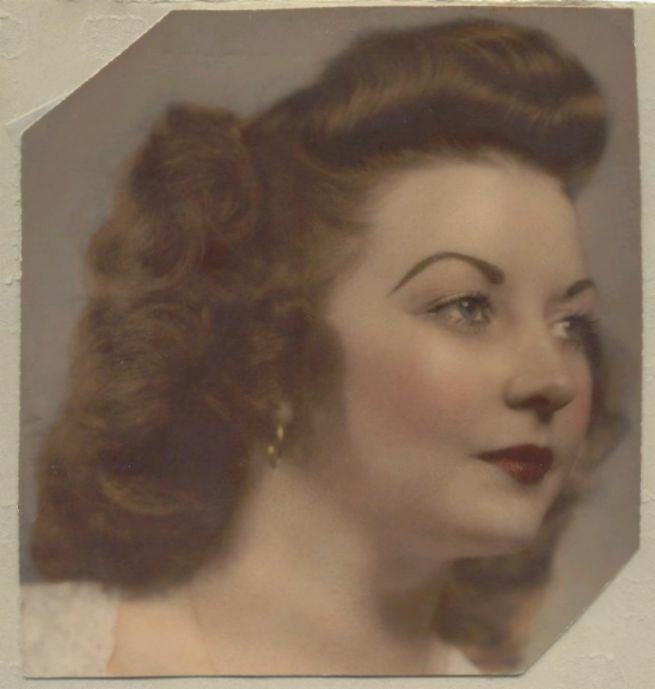 Her daughter Clara and husband, Bill Lundberg, owned the gas station. The building is still there. A reunion. Birdie Harrow and Jim Boots with Mabel in the middle; not sure if that is Clara or Vie on the left, but it looks like the baby, Bootsie or Birdie, on the right. 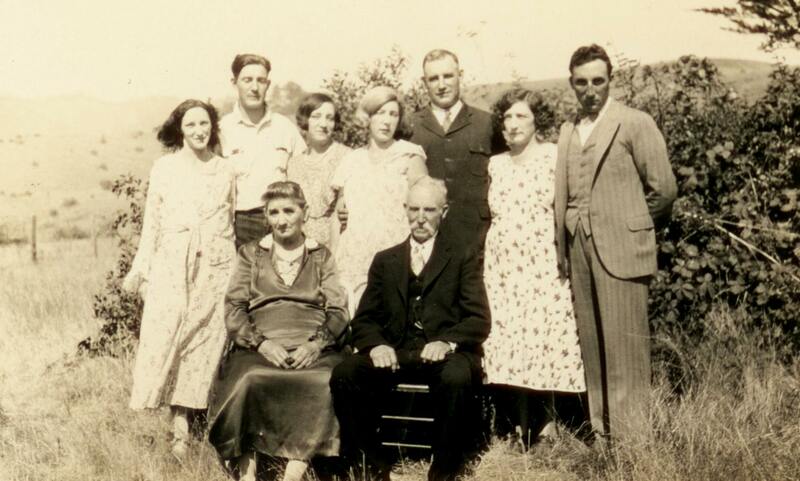 Here’s the earlier generation reunited: Seated in front, Mary Ellen (Ella) Vandecarr and William (Aaron) Boots. 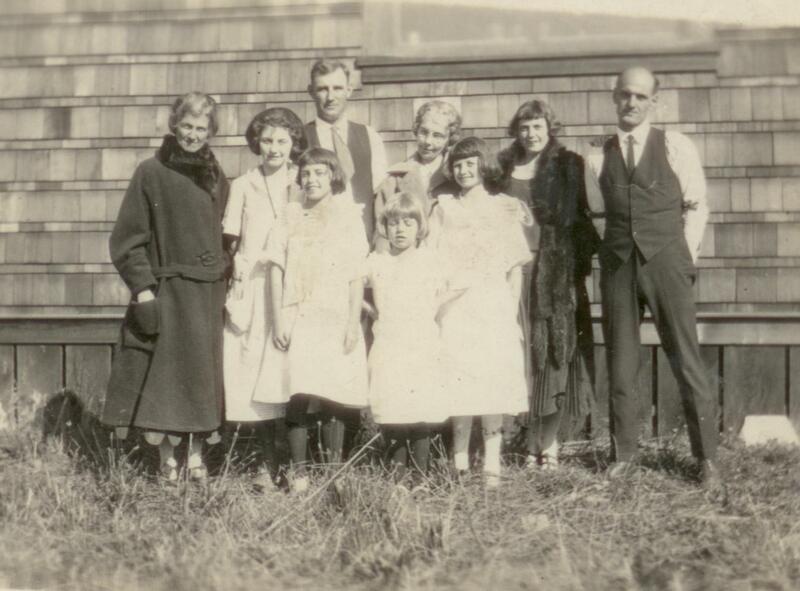 Behind them, their seven children: Bertha Ida, born 1904; John (Elbert or Albert), born 1909; probably Adeline Susan (Addie), born 1898; Sarah, who had married a Mr. Conger, born 1885; Jim Boots; and twins William A. and Lillian, born 1896. (Note–i am not positive of all these identities; I may have put the wrong names on the wrong faces, except where i’m sure of Ella and Aaron, and of course Jim; and that is certainly Bertha on the far left.) 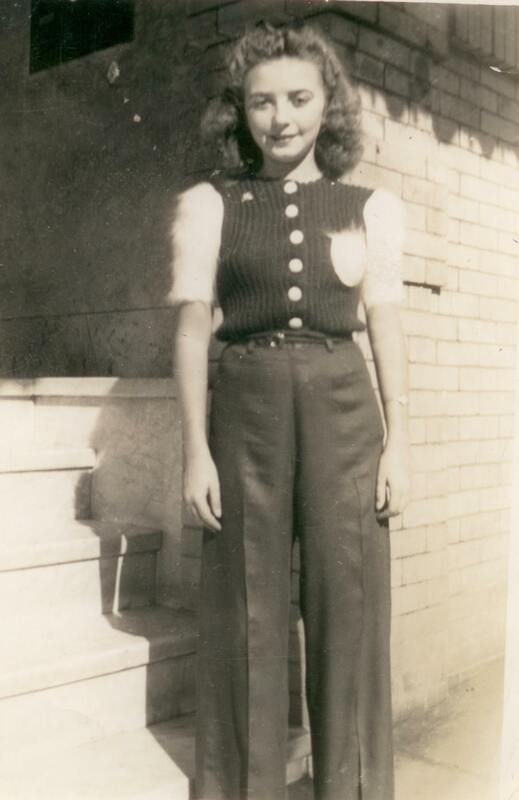 An aside: Addie Boots Reynolds was shot by her love-crazed cousin Walter Boots–son of Aaron’s brother Martin– in 1934. She survived, but he turned the gun on himself and died. Jim Boots in the 1930s. Another picture of four generations: Jim Boots, his mother Ella, daughter Birdie (Bootsie) Harvey, and grandson Ted Harvey. Mabel Babe Boots Hengen. Mother-Daughter day at the studio? And here is the beautiful grown-up daughter, Barbara Hash. Once again, I would like to thank Phillip Nicklas for letting us have copies of all these wonderful photos. They, and the family they represent, are beautiful, interesting, and… very Mattolian! Now, one more old picture I want to add… this one goes back to the 1910s or earlier. 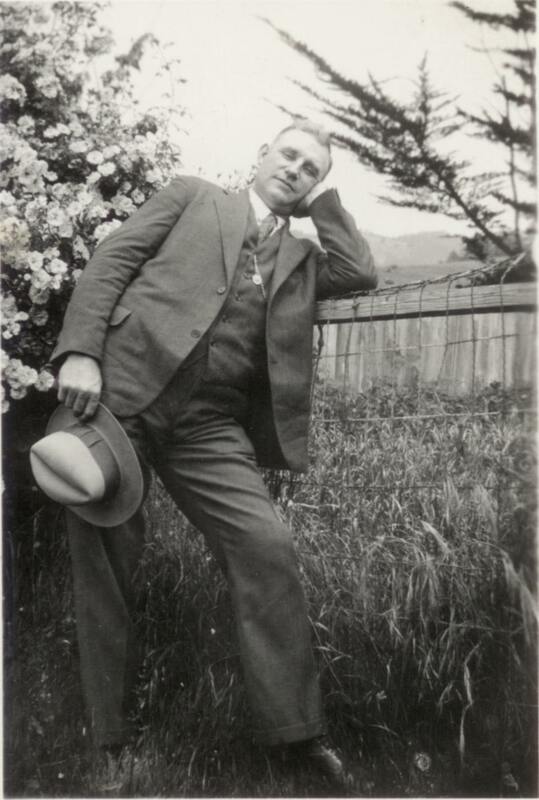 Ivan Harrow, born in 1885 and dead in 1918, was the brother of Birdie Harrow Boots, they both being children of Kate Titus and Fletcher Harrow. 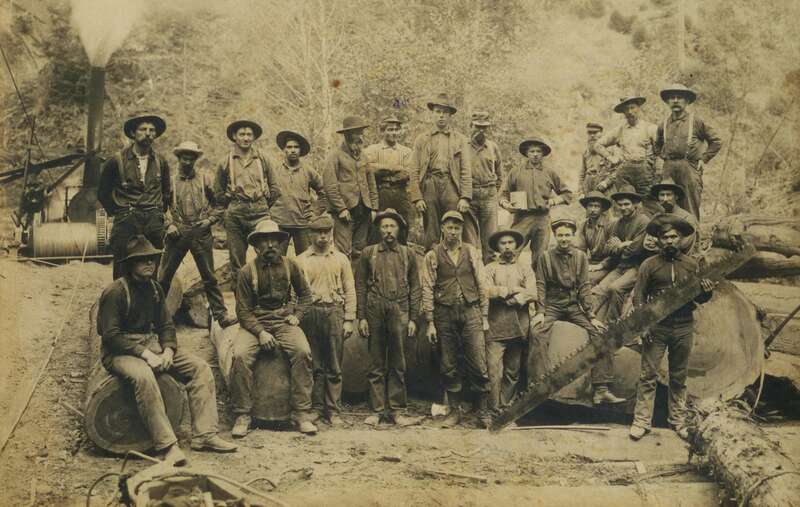 This photo was labelled something like “Ivan Harrow and loggers.” The Harrow- Boots family, or at least some branches of it, retained its workingman-in-the-woods reality even as photographic studios and fashionable women created an uptown impression.